Federal prosecutors argued in a court appearance Tuesday that there are no conditions under which 28-year-old Rondell Henry could be freed and be assured of returning for future court appearances, and that he represents a threat to the community. A man in the state of Maryland, accused in an alleged Islamic State-inspired terror plot to run down pedestrians with a truck, has been ordered held without bond. 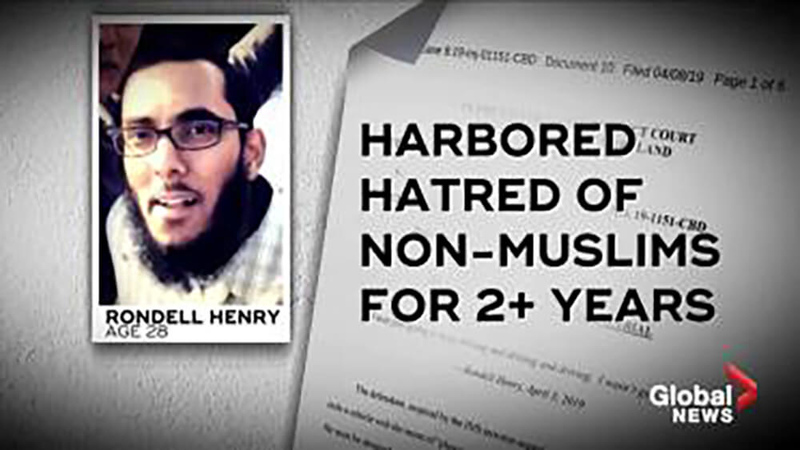 After failing to breach security at Dulles International Airport, Henry is accused of driving to the National Harbor in Maryland — a Potomac River walkway lined with shops and restaurants, highly popular with tourists. But in the court filing, prosecutors say Henry did not find a large enough crowd for his desired act and decided to wait until later. Prosecutors allege Henry was inspired by the 2016 IS truck attack in Nice, France, that killed 86 people.